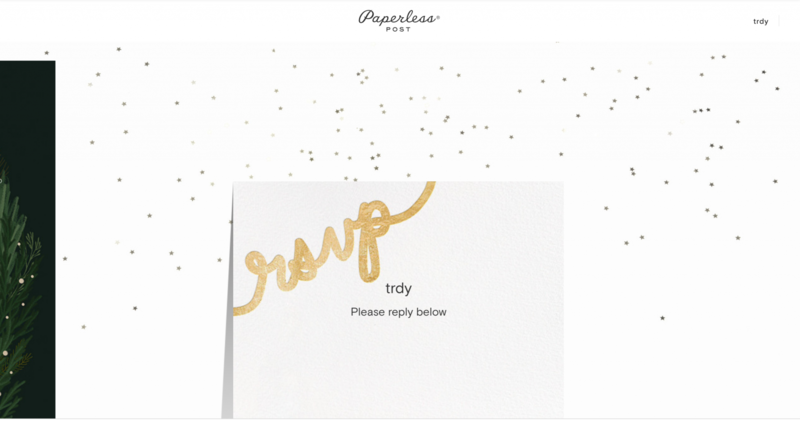 It’s very easy to create an account on Paperless Post. You can either create your login details or login through Facebook or Google plus. 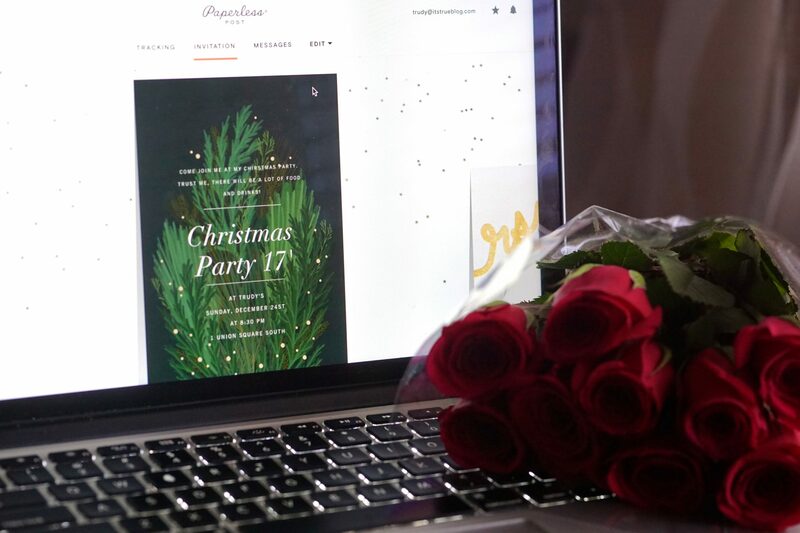 On the website your will find a lot of tabs directing you to a specific event such as birthday, wedding, business, parties and entertainment. From there on, you get choose from a wide range of invitations and postcards. I chose to pick one from the Christmas collection. 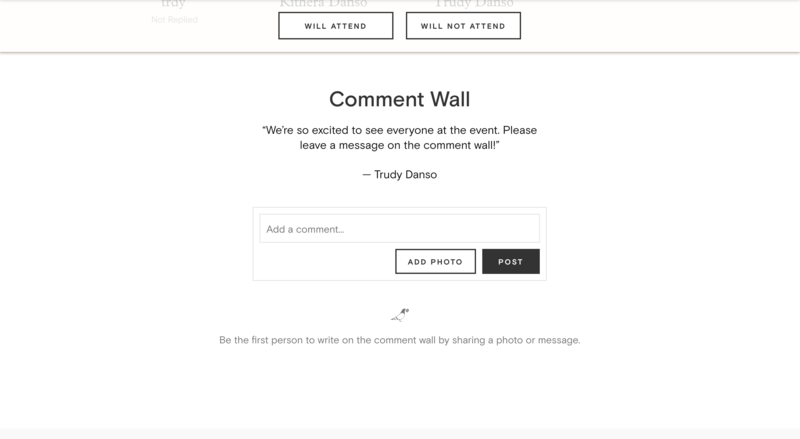 As soon as you’ve chosen the invitation card, you can start customizing it by adding your own text and choosing the backdrop of the card (see example below). Step 2 is when you get the option to choose from different kind of liners (see example below). I chose to go for this one because it fits perfectly with the invitation card I created in step 1. When you get to stop 3, you can tweak up the invitation envelope by adding a stamp and a postmark. 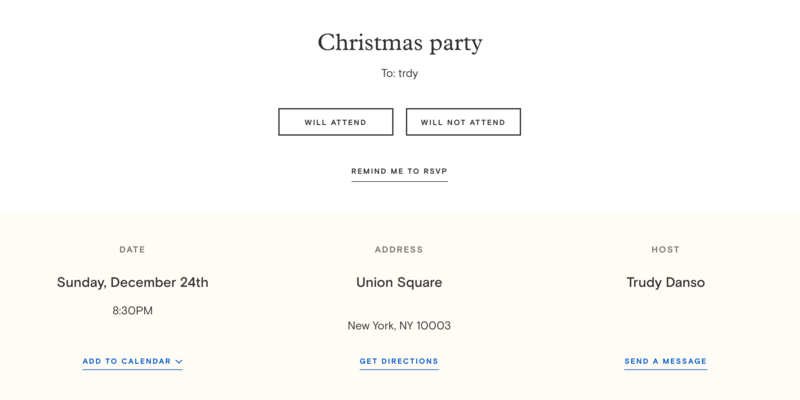 When you’ve finished implementing step 1,2 and 3, you can customize your RSVP card (see example below). Step 5 is where you have to add a bit of details about the event (see example below). This information will also be available in the email of the invitation. 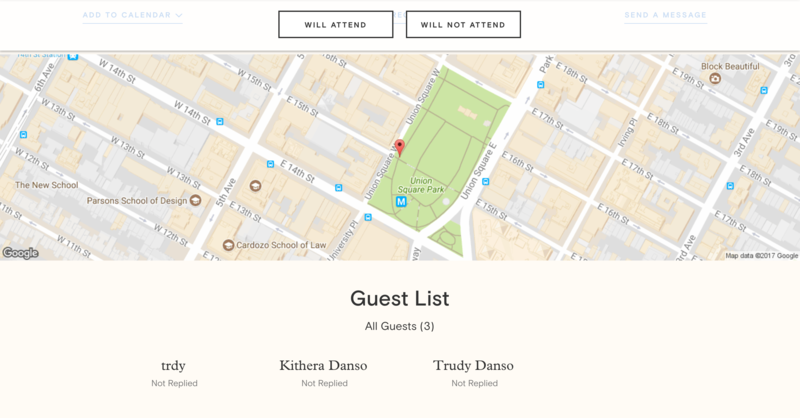 As soon as you’ve finished filling out the details, you can add all the names and email addresses of the people you want to invite to your event. When you complete step 5 that’s when you get the send your final work. The great thing about this is, is that you can send a free test version to yourself. This is a perfect way to see if you actually like the end result or if you want to change some bits and pieces of the invitation. You might wonder if they also offer a paper version of their cards. They do, but the paper version is not available for every invitation or postcard that’s on their website. However they offer a wide range of postcards and invitations for different kind of events. One thing I also haven’t mentioned yet is that they also offer designer cards from brands such as Kate Spade, Liberty Fabrics and Vera Wang Papers. When it comes to payment you do have two options. 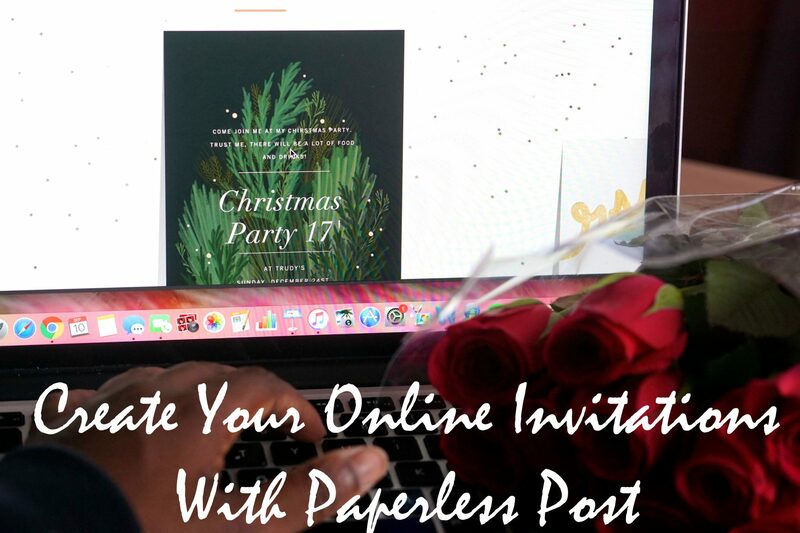 When it comes to the online version of the invitations/postcards you have to pay with the Paperless Post coins. You can purchase the coins online. All the information in regards to payment and the prices for the coins are on their website. When it comes to the paper version you have to pay with your card. I also have to mention that the navigation throughout the website is pretty straight forward, easy and clear. The only thing I would recommend that needs to change is the different payment options for the digital and the paper version. In my opinion, it would be less hassle to be able to purchase the paper version with the Paperless Coins too. 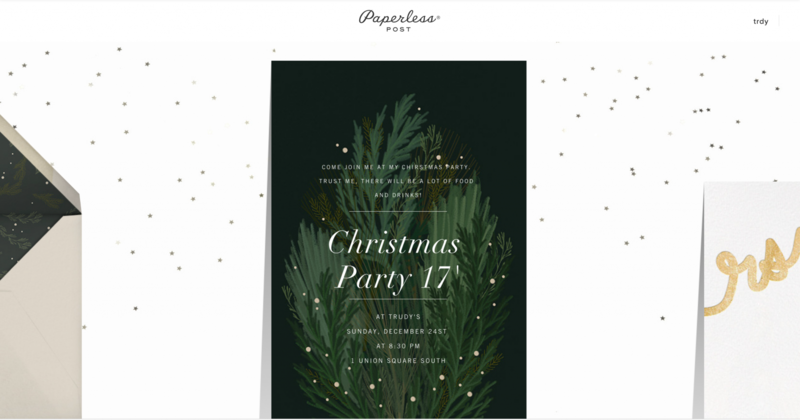 So have a look below to see the end result of the Christmas party invitation that I created and how guests get to see this when they open it in their mailbox. Did you like it? 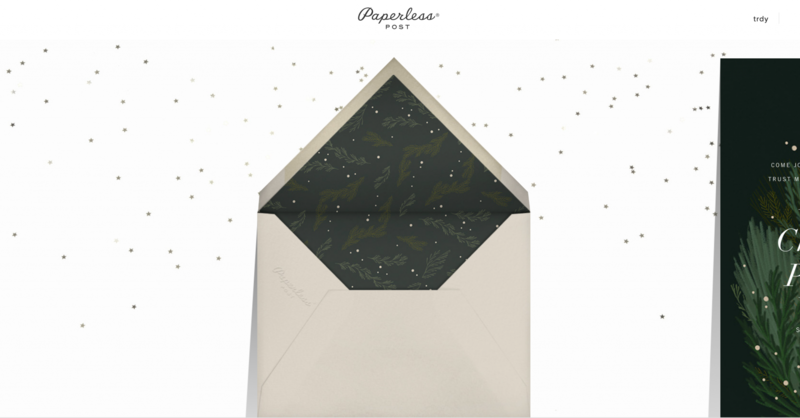 If the answer is yes then Paperless Post and I have teamed up to give you a gift! You can win a 600 coins (worth $60) by entering the giveaway below. All you have to do to enter is to follow me on Instagram. The giveaway will end on the 29th of September 2017. I will announce the winner on It’s True Blog on the 30th of September 2017. Don’t forget to fill in the Rafflecopter below so that I know you’ve entered the competition! Goodluck! This is such a great idea! I will have to use it for a Christmas card this upcoming season. This is the first Christmas with my son and I am living abroad, so mailing them out is too expensive. Thanks for sharing! definitely going to come back to this post, it’s very handy!